Shop manager and service consultant. Manages the complete process of servicing and repairing customer’s vehicles, including scheduling, checking customers in, assigning vehicles to technicians, keep customer informed and more. After graduating from Livermore High School, Jeff explored computer technology at Las Positas College for two years. He then ventured into the automotive industry; now new automotive professional training and educational seminars are always on his schedule. He is ASE and ESI certified service manager. 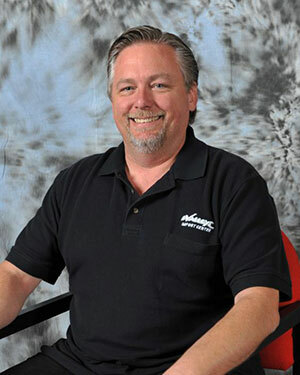 Jeff has been a service manager for over 24 years. “Quality before Profit” is a credo he firmly believes in. Jeff joined Valley Import Center at the turn of the century and as Shop Manager, he coordinates the process of servicing and repairing customer’s vehicles, including scheduling, checking customers in, assigning vehicles to technicians, keeping customers informed, and more. With his wide range of knowledge on automobiles and his caring nature, Jeff has become one of the main reasons why many of our customers return to us even after they’ve moved out of the area.